Women in Technology (WIT) today announced its 2013 – 2014 board and leadership team. 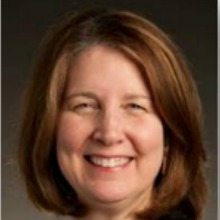 Phyllis Kolmus, Deputy Group Director of OSD Programs at AT&T, will lead the organization as president. As stated by Phyllis Kolmus, WIT will be hosting its first WIT.Connect of the 2013-2014 year titled, “No One Path: Champions for Change: Reducing the Gender Gap on Corporate Boards” on Thursday, September 19 at at the Gannett Building in McLean, Va. This WIT.Connect is designed to provide actionable strategies and pathways for women at all stages of their careers to successfully position themselves to serve on corporate boards and to share strategies for a broad range of leadership positions. A panel of executive women will discuss their unique journeys, career choices and leadership skills that prepared them for board positions and other key management roles.